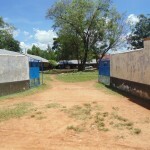 The proposed Sihanikha Primary School Water Project is a mixed day school started in the 1940’s through the efforts of the Namirama Friends (Quakers) Church with an aim of Eradicating illiteracy within the area where it serves. 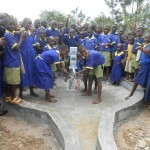 In the year 1990 Kenya Finland Western Water Supply drilled water in Sihanikha to serve the pupils and the entire community. 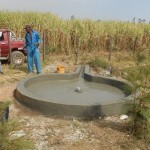 The well records a total depth of 30m cased by 4’’ UPVC casings and the water rest level is 15m. 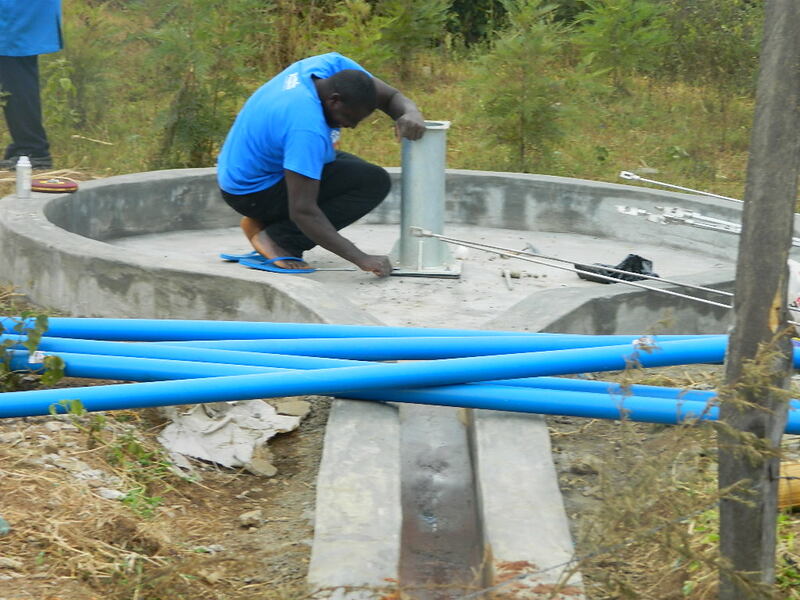 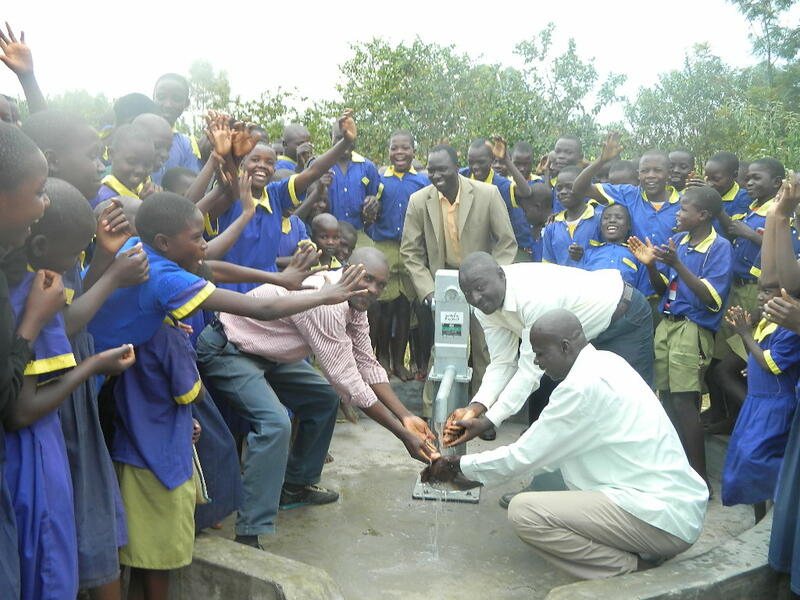 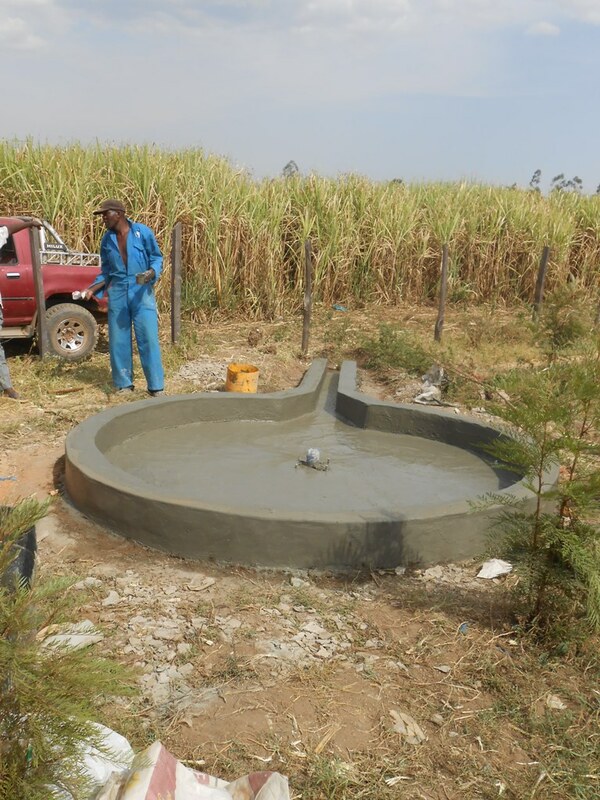 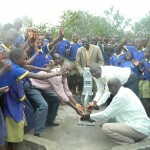 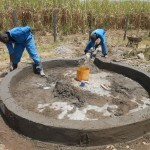 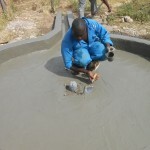 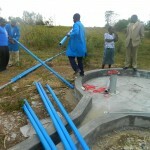 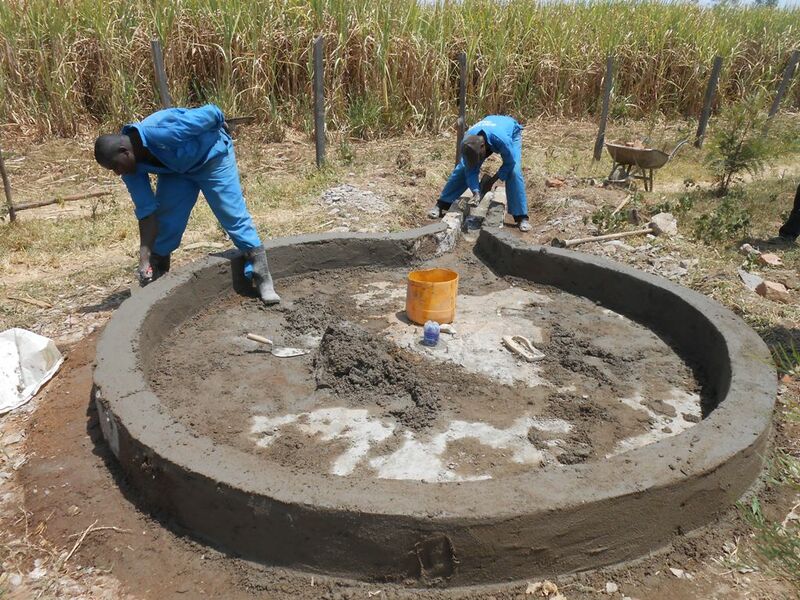 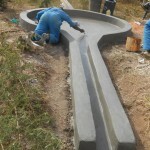 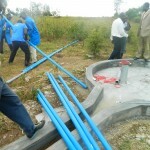 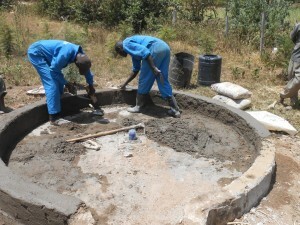 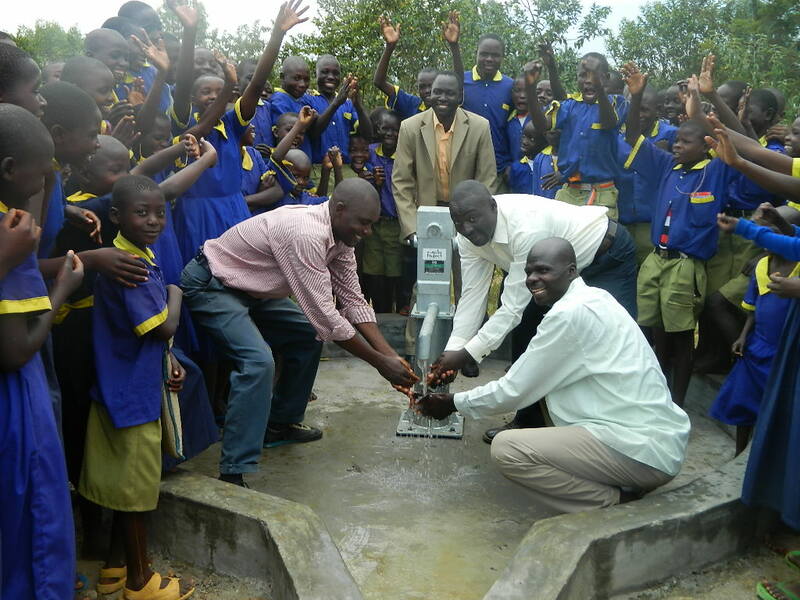 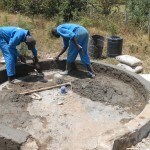 The well pad was constructed and Nira pump installed it served the school well until the year 2011 when it got spoilt and they could not get spare parts. 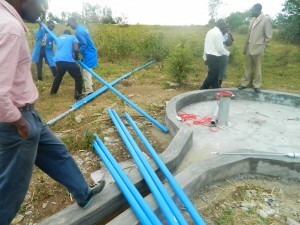 The school board of management learned of Bridge Water development activities in the water sector and made a request for BWP to consider and rehabilitate their failed well. 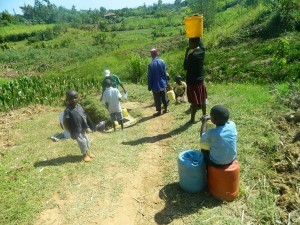 Currently Sihanikha pupils fetch water from the sihanikha protected spring located 1km away from the school compound. 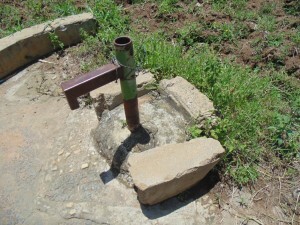 The water from the spring has a turbidity value of 5. 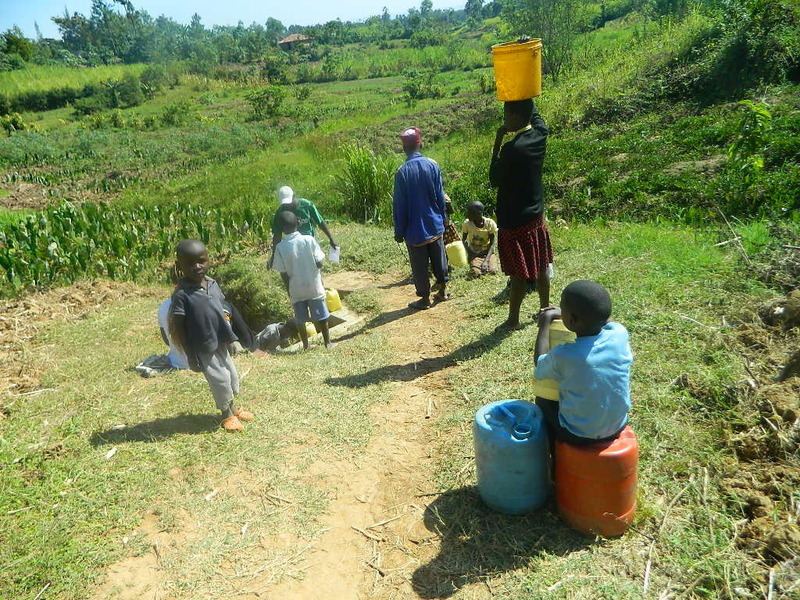 However the other pupils bring water from different springs to school and no one guarantees the quality of water they bring to school, which poses a great danger to the pupils’ health. 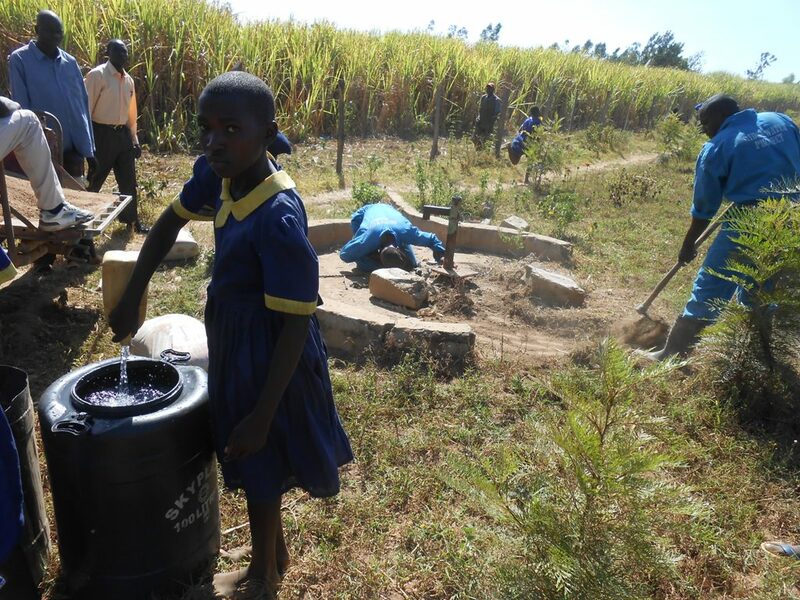 They have a water tank for rain harvesting which is not enough for the entire population of this school. The school has an enrollment of 1075, 565 boys and 510 girls. 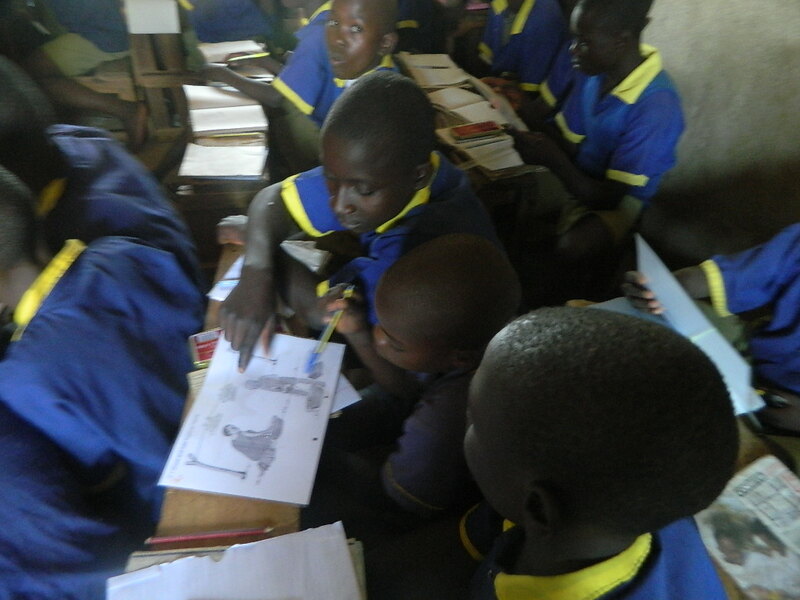 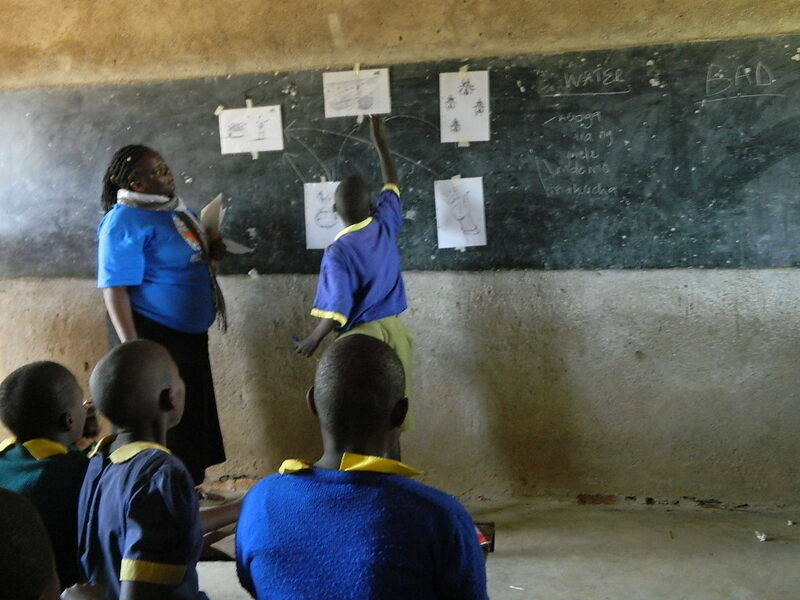 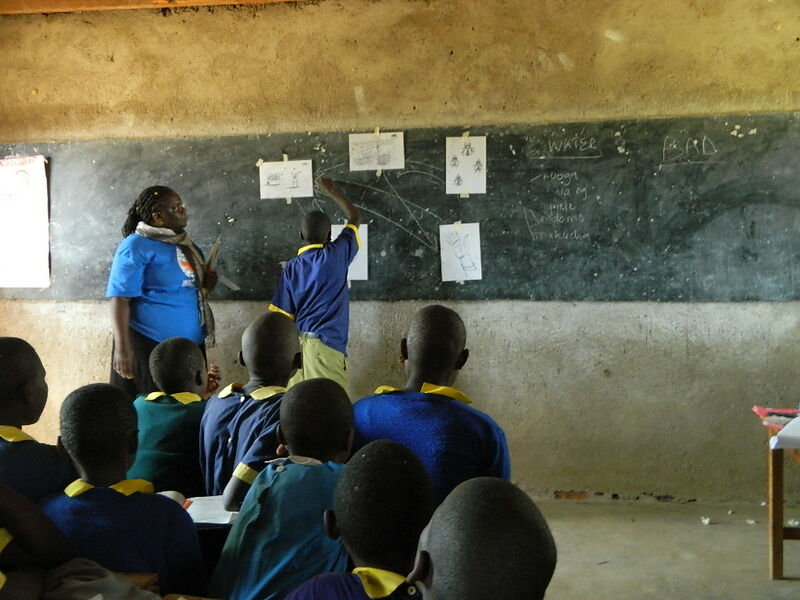 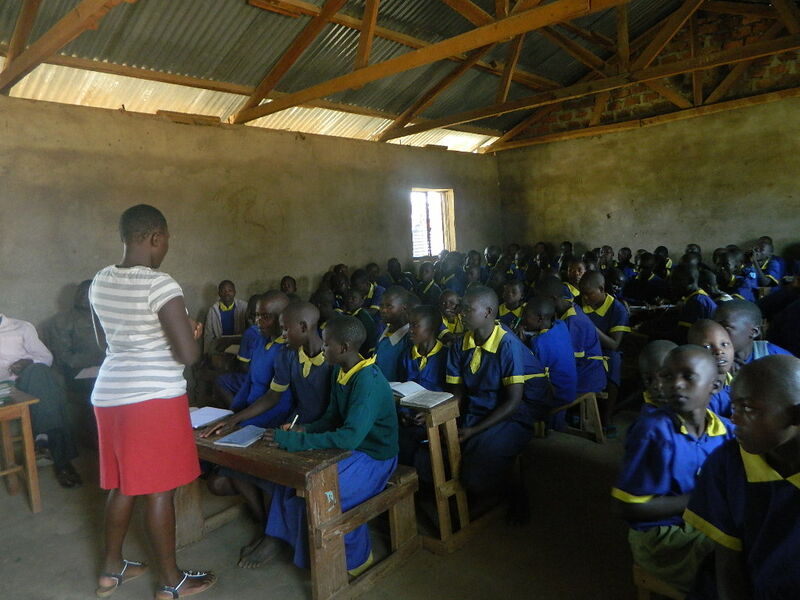 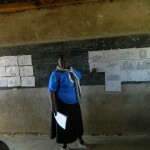 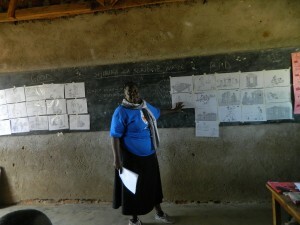 Teaching staff 21, 16 of them are employed by the teachers service commission and 5 by the Parents Association. 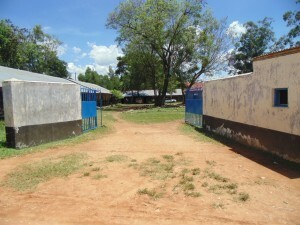 The school also has 2 watchmen and 1 cook. 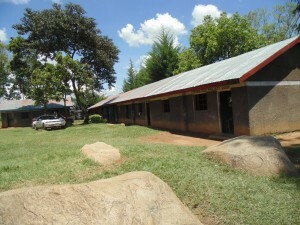 The school has an Early Childhood (kindergarden) unit with 120 kids and 2 Teachers. The school has permanent classrooms, which are washed once per week every Friday evening before pupils go home for the weekend. 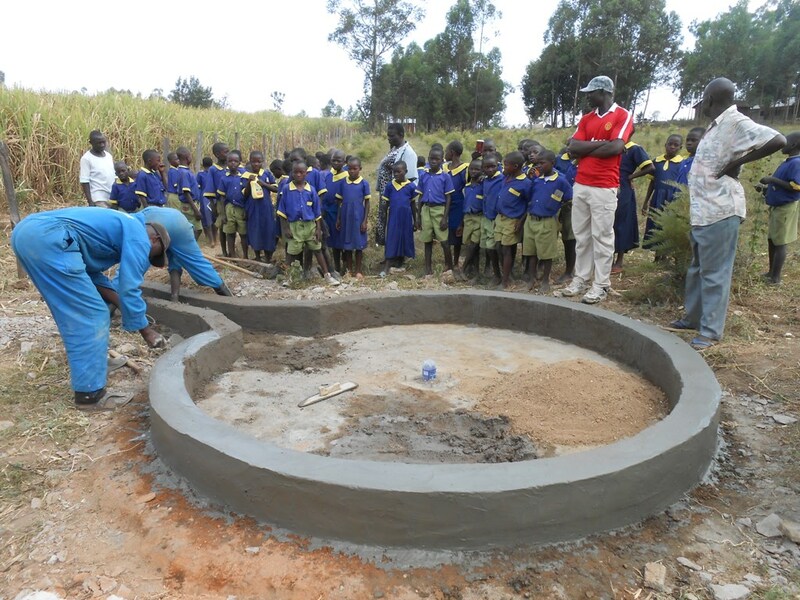 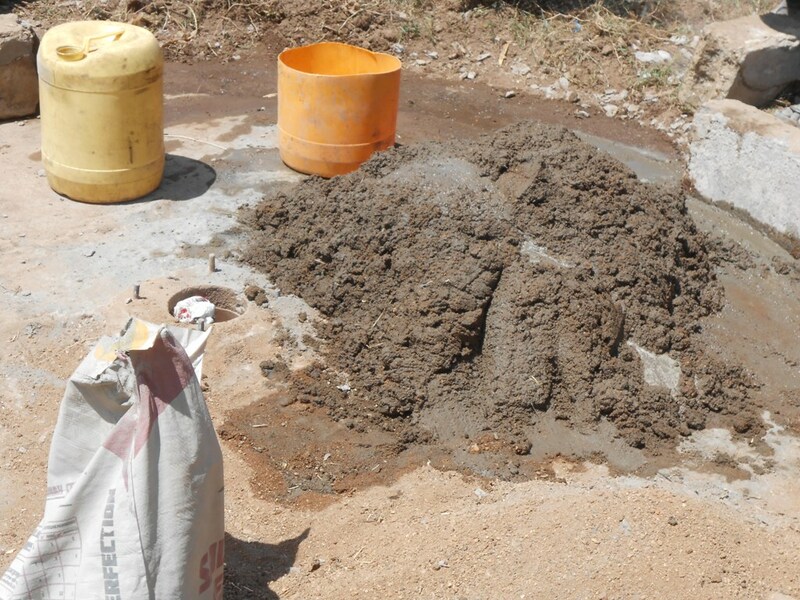 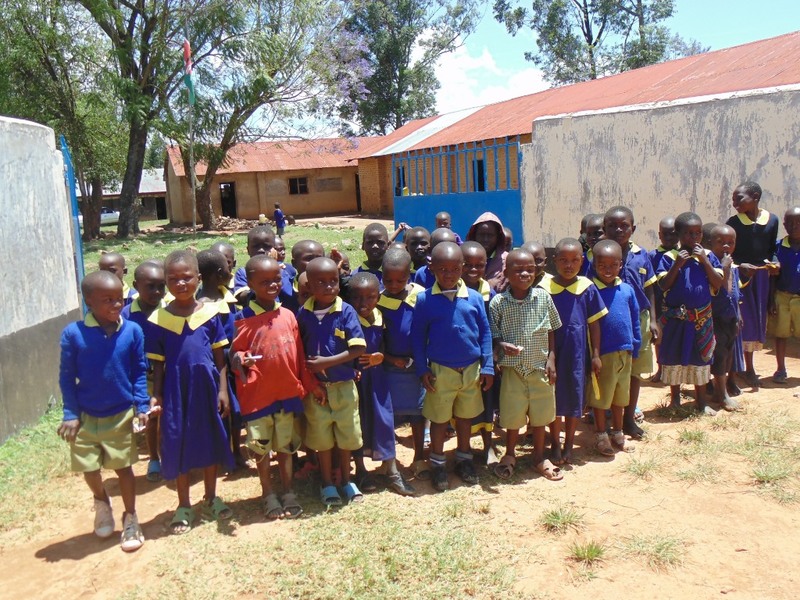 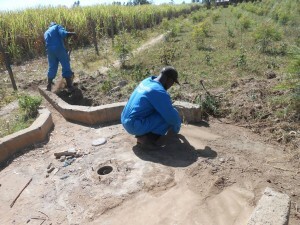 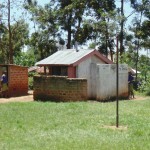 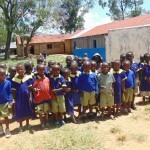 The school has 24 pits Latrines 10 for girls, 12 for boys and 2 for teachers, which are washed on daily basis. 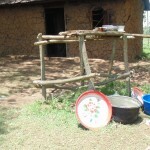 There is a kitchen where meals for teachers and standard eight pupils are prepared though the water storage is not up to date. 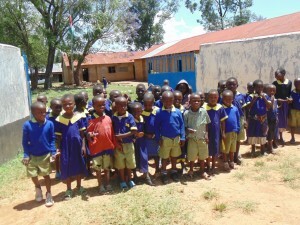 The main beneficiaries will be the pupils and teachers of Sihanikha. 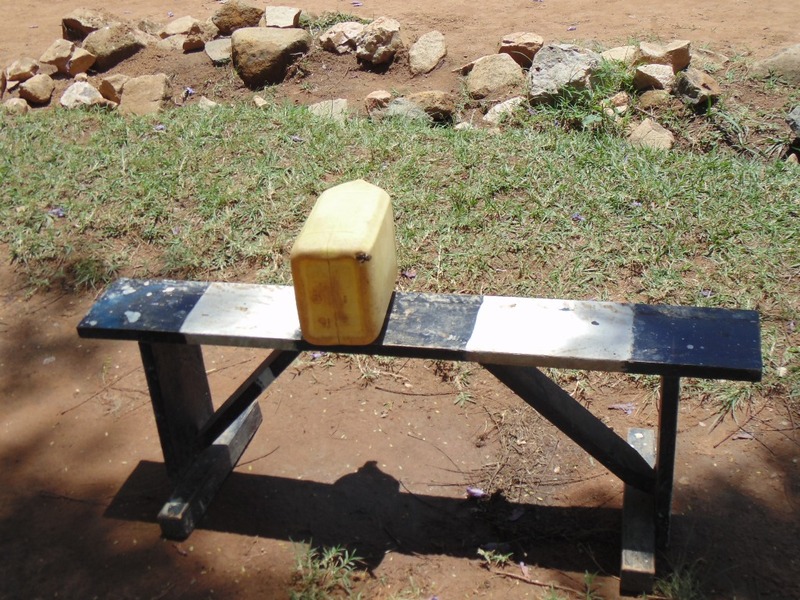 The school Management Committee has already appointed amongst themselves a water committee that will take charge of the operation and management of the water point to ensure its sustainability. 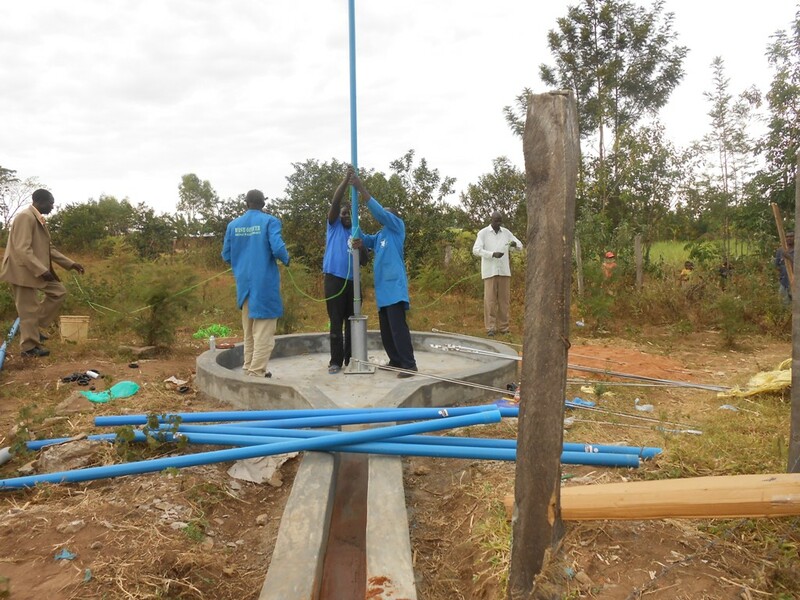 Bridge Water Project staff will carry Community Education to both the pupils and the school committee before implementing this project. According to the baseline survey carried out at Sihanikha Primary schools, it was clear that the school as whole didn’t observe the proper hygiene and sanitation practices. 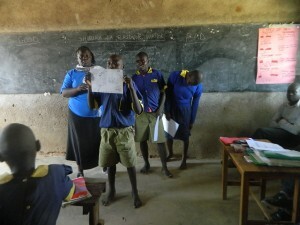 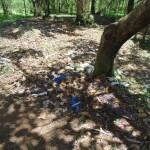 The school needs a proper training on good practices of hygiene and sanitation. 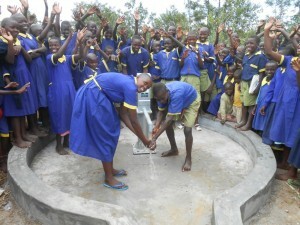 The school has only one hand washing station that is being used by the teachers. 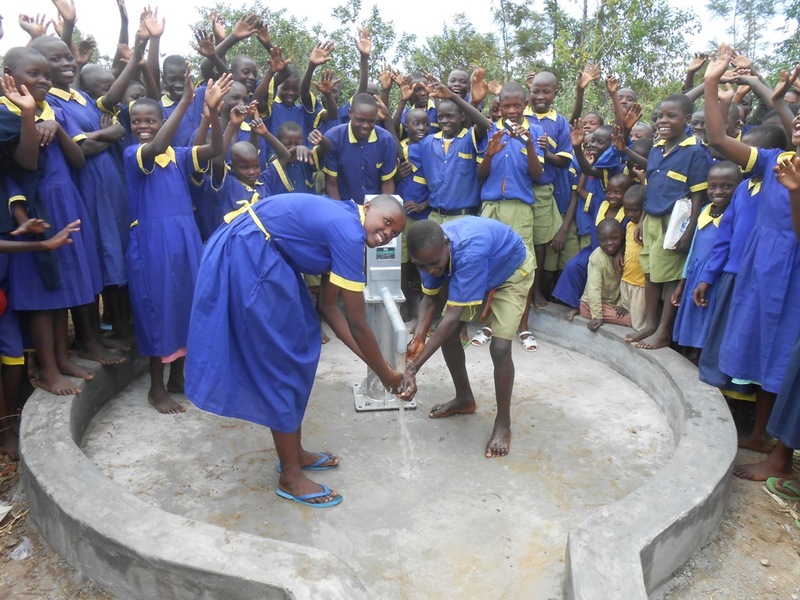 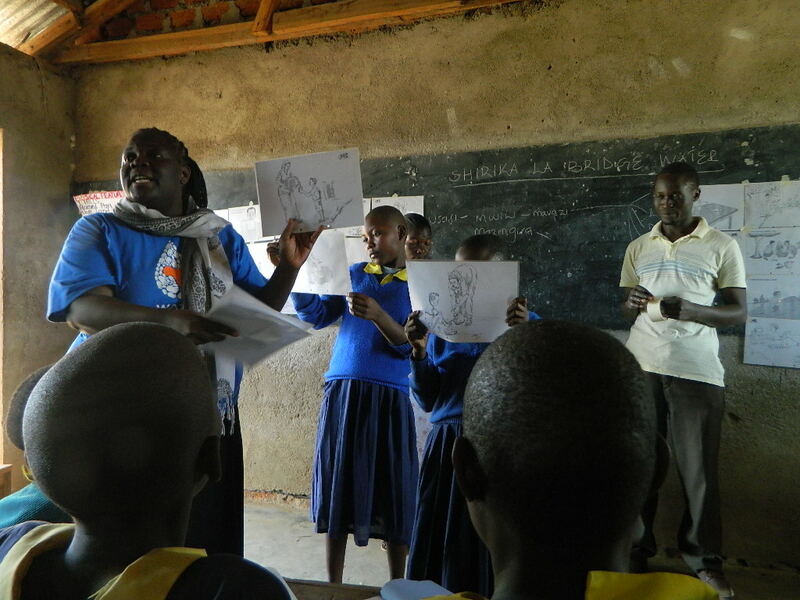 Apart from just rehabilitating the well that is anticipated to help improve the situation of the school, a BWP community education team had to train the pupils on good hygiene and sanitation practices. 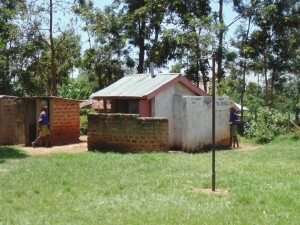 c. Importance of using a latrine. Clean is beautiful was the first topic. 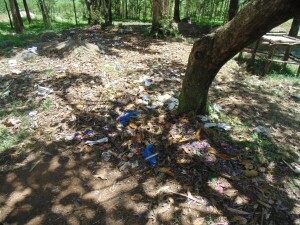 With this we asked the pupils to show off their cleanliness. 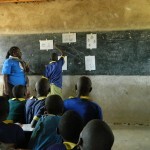 For example, finger nails should be cut short and always clean, bathing every day, brushing their teeth every morning and washing their clothes. 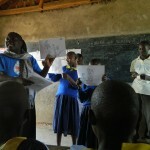 In the discussion groups the pupils of Sihanikha learned that they practice bad hygiene through the Good and Bad posters. 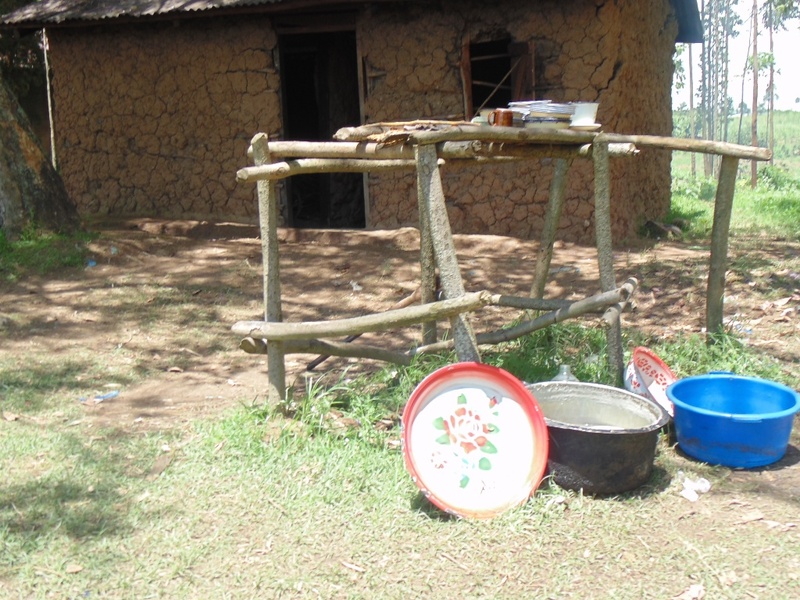 Water is essential, but it’s the main cause of diseases to most people when it’s poorly handled, like handling it with dirty hands, storing it in dirty containers and not treating it. 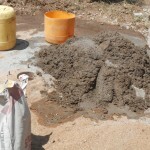 This causes diseases like cholera, typhoid and diarrhea. 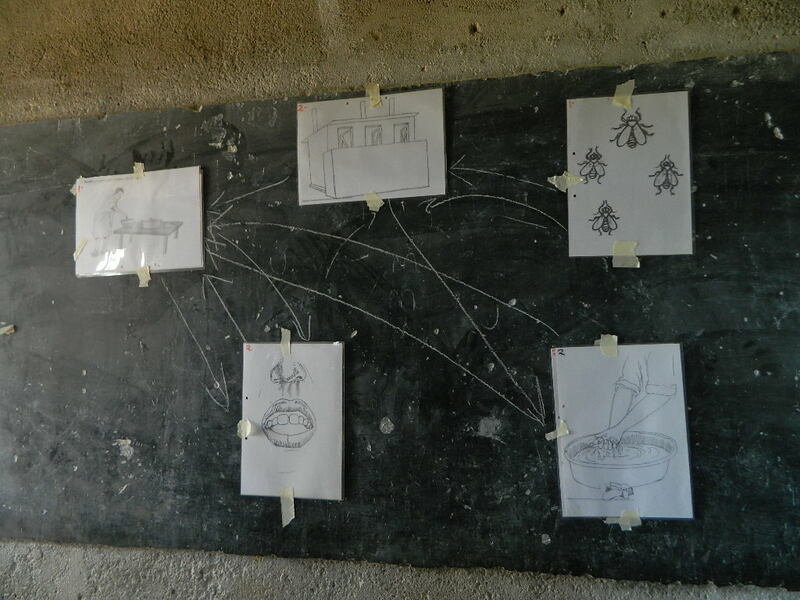 Through the F-Diagram they learned how the diseases are transmitted into our bodies by way of fingers, fluids, feaces, food and flies. 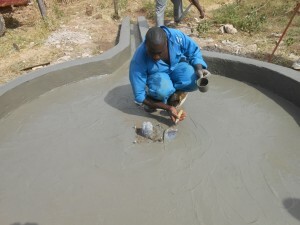 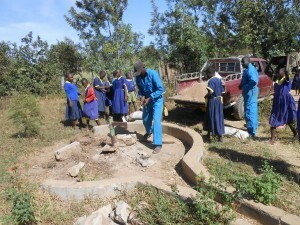 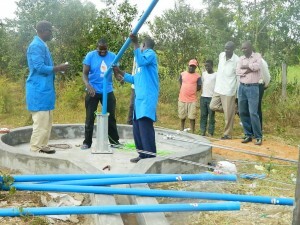 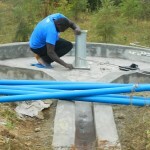 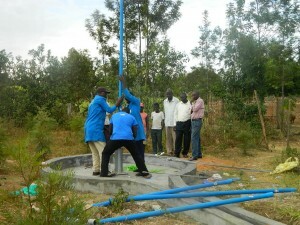 The construction team mobilized to the school and more of reconstruction of the well pad was done. 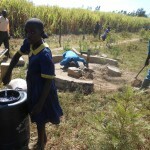 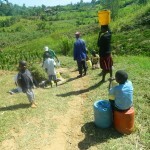 Pupils helped in the provision of water which was used for cement work. 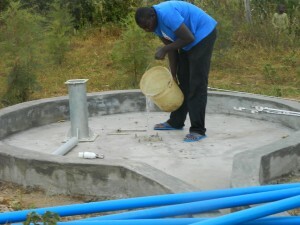 The construction started by dismantling the Nirrah pump and the broken well pad. 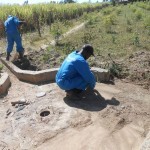 Then the team excavated the whole well pad for construction process. 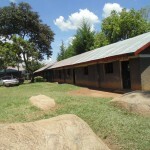 The school management provided meals for the team (both breakfast and lunch). The well pad was left to cure for three days. After three days of curing the next step was to chlorinate the water first then install an Afridev pump to the Sihanikha Primary School borehole. 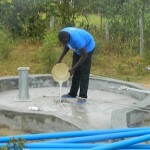 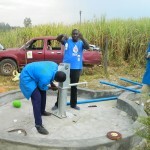 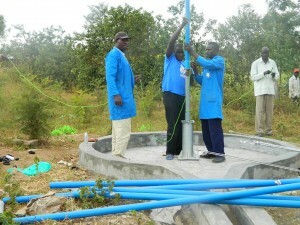 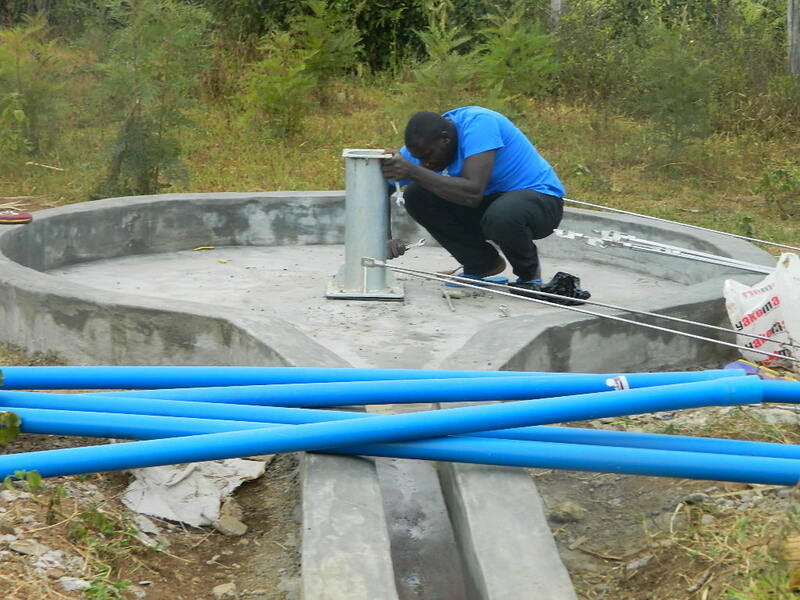 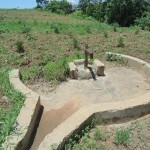 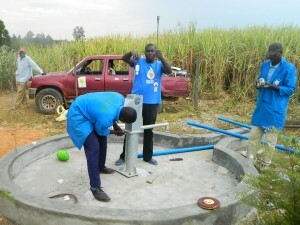 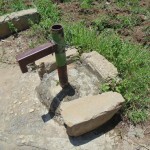 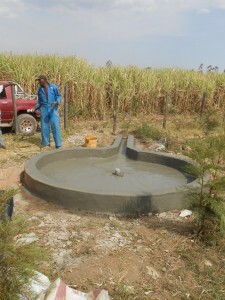 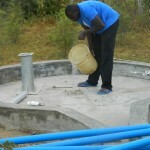 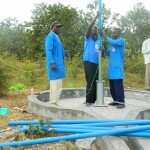 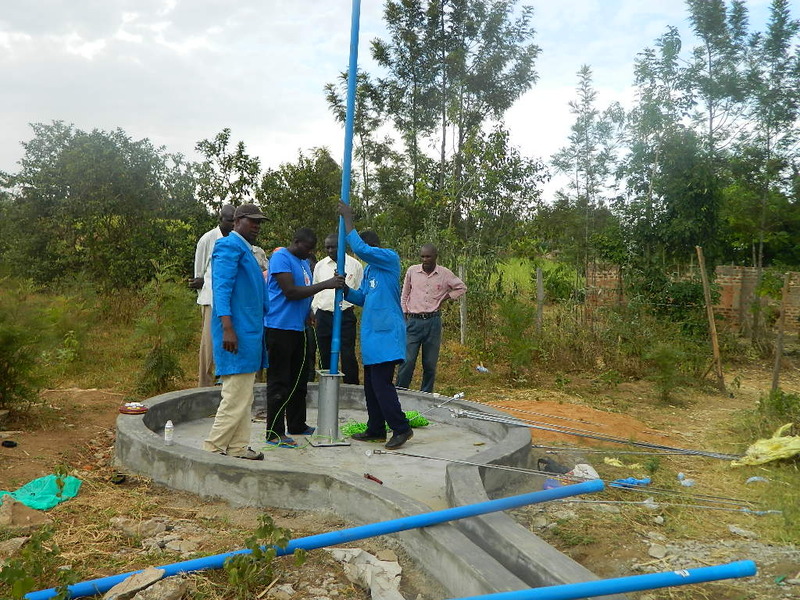 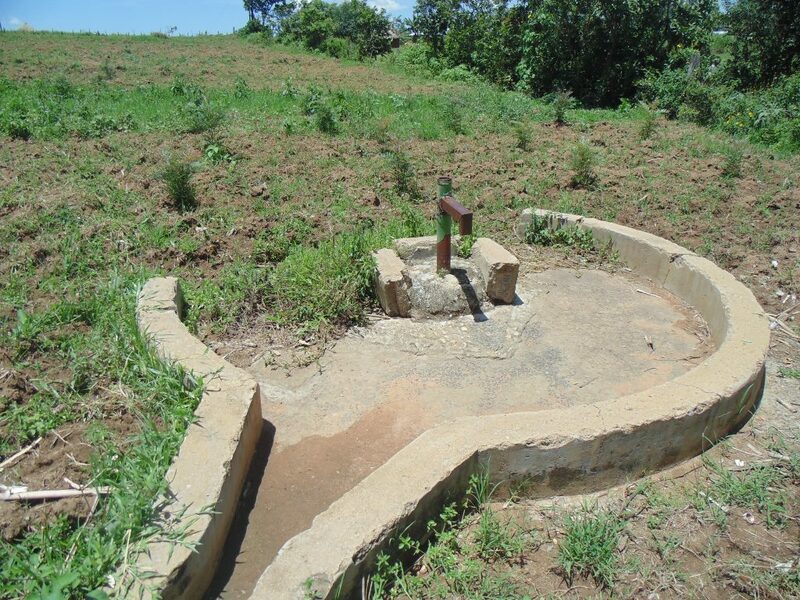 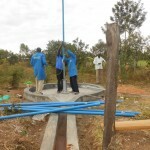 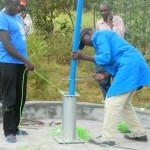 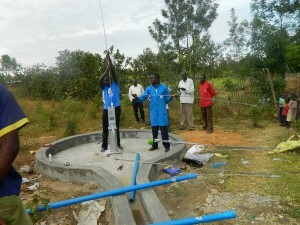 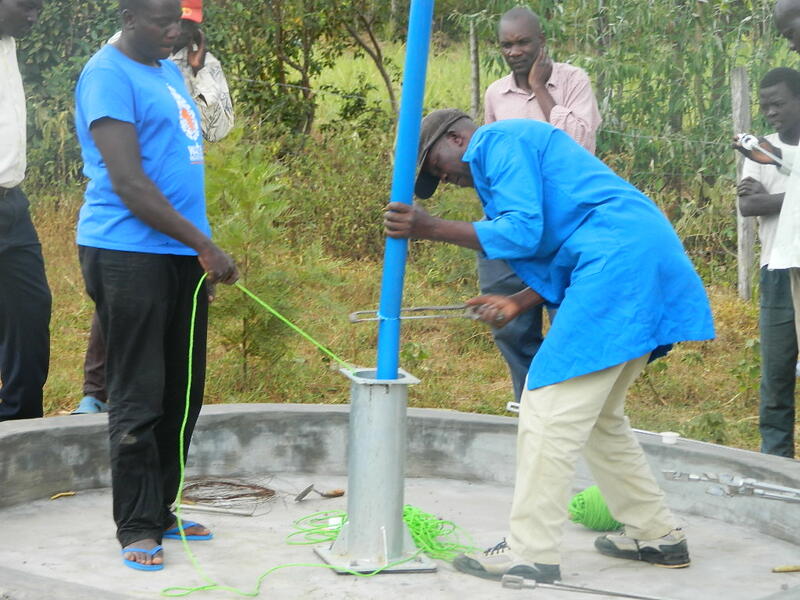 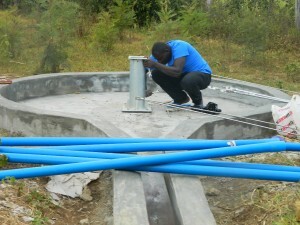 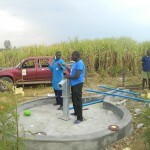 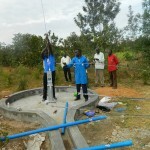 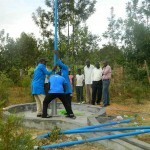 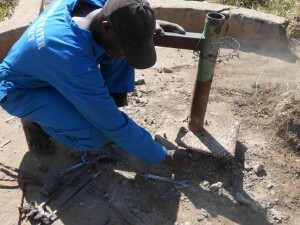 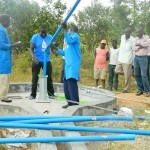 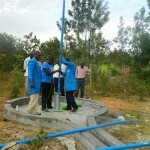 The borehole was fitted with a new afridev pump at 30 metres. 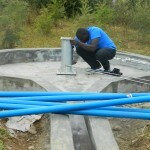 4” UPVC pipes each measuring 3 meters were used during the installation. 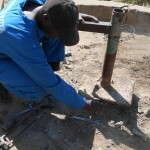 Stainless steel rods each measuring 3 meters were also used so as to prevent contamination rust. After installation, the pump was tested to ensure it was functioning properly. 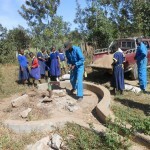 Thereafter the water was handed over to the teachers and the pupils of Sihanikha primary school. 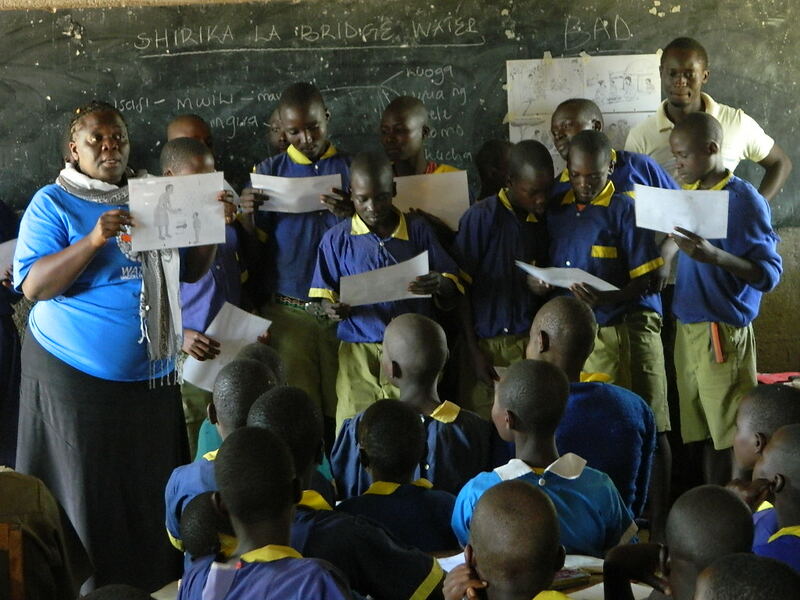 One of the teachers gave an acknowledgment speech to thank Bridge Water Project and The Water Project for meeting their need of accessing clean and safe water. 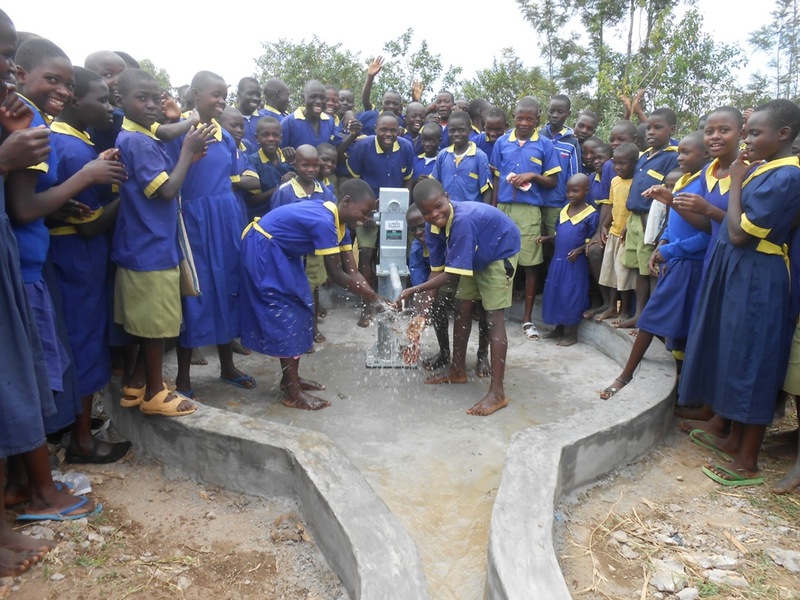 We are very excited to report that, thanks to your willingness to help, Sihanikha Primary School in Kenya has a new source of safe, clean water. 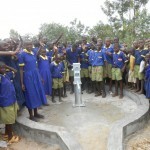 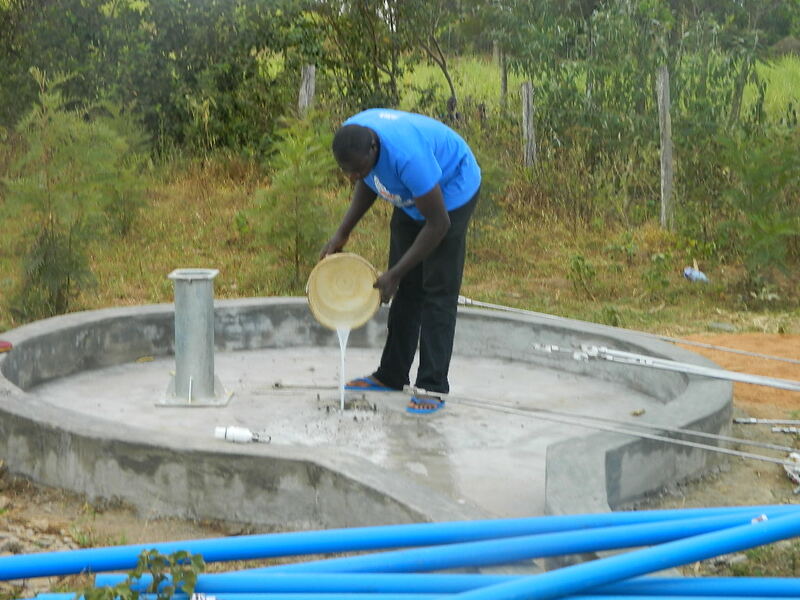 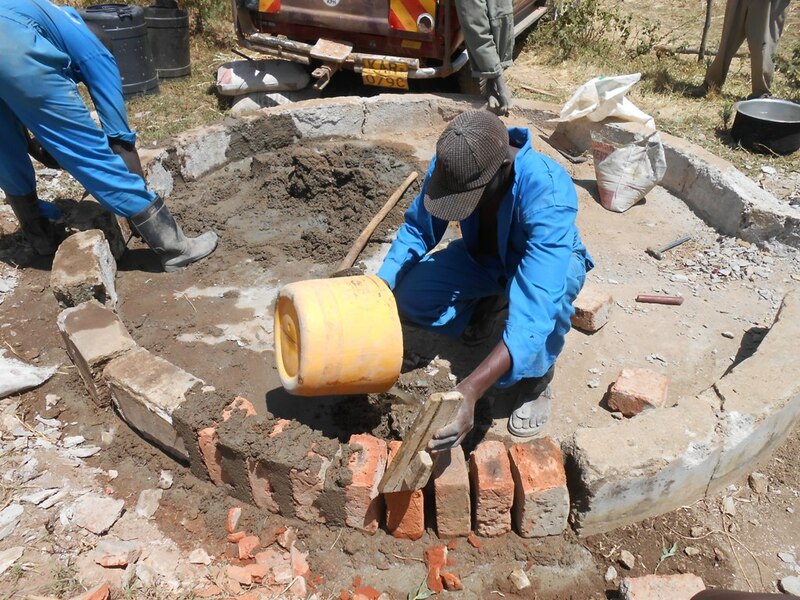 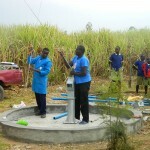 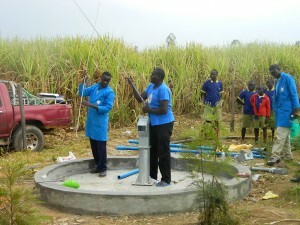 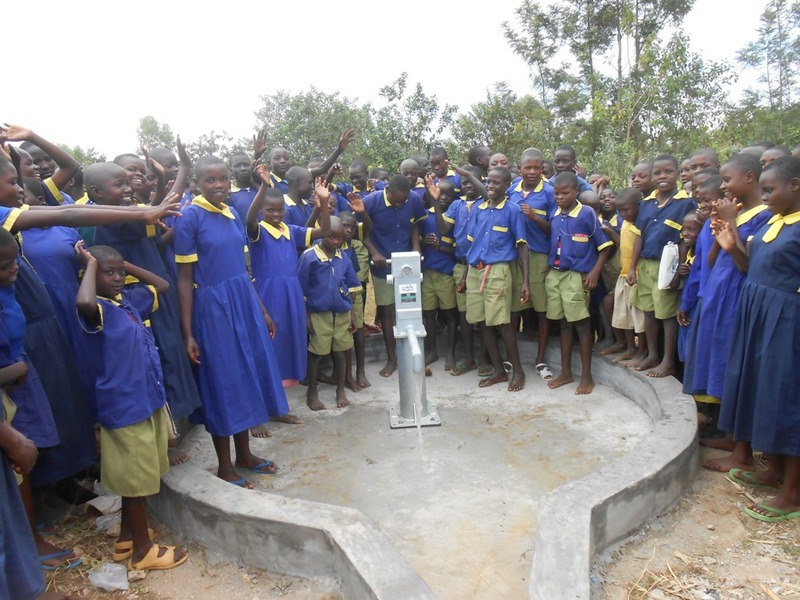 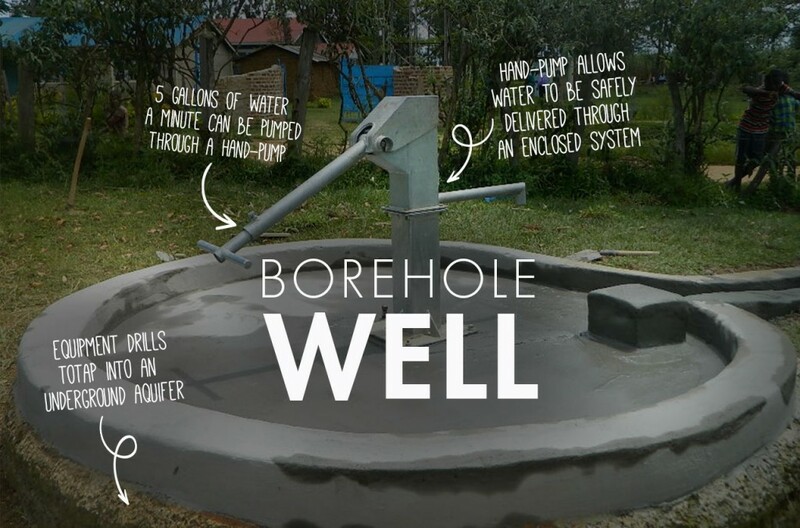 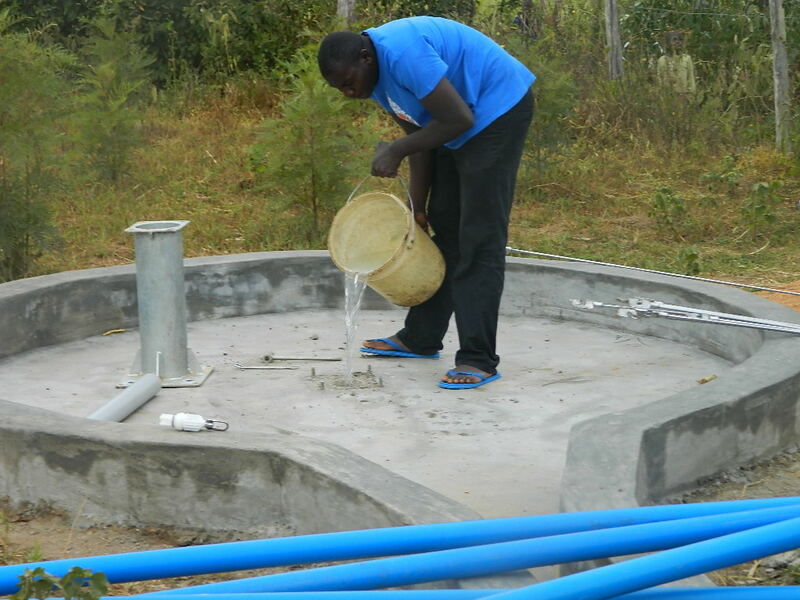 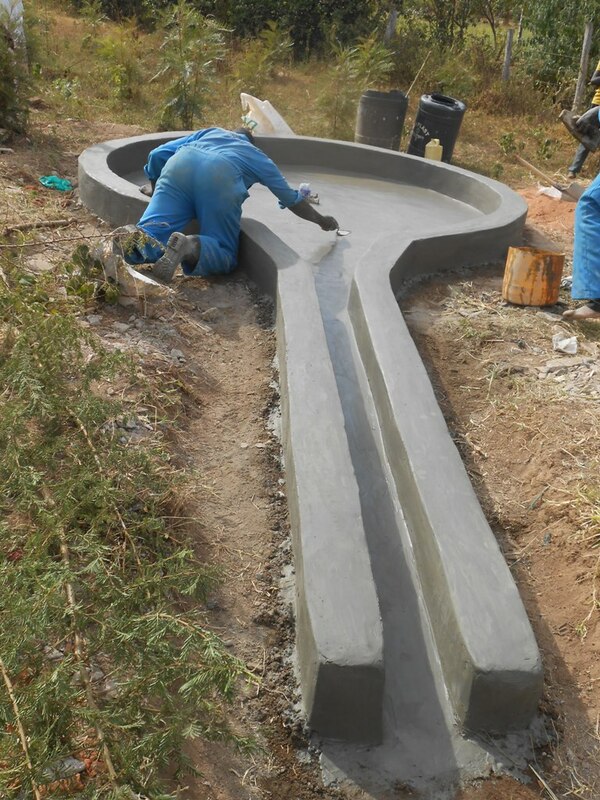 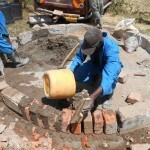 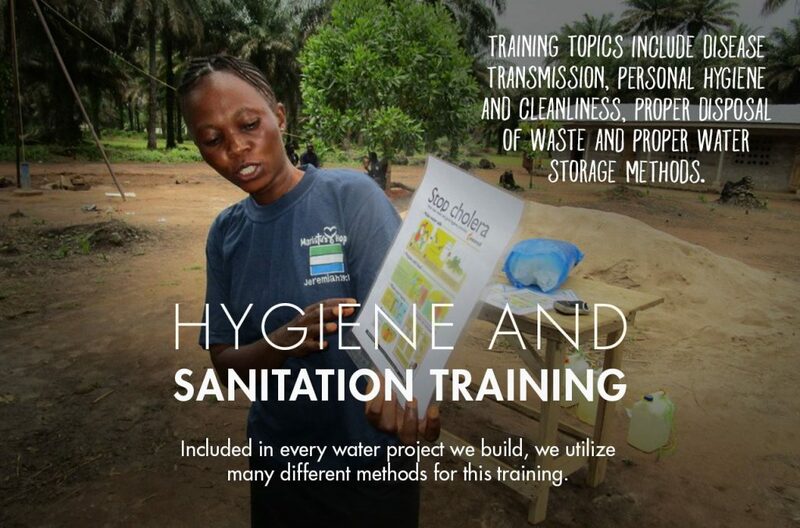 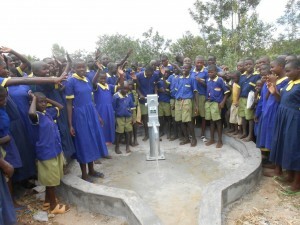 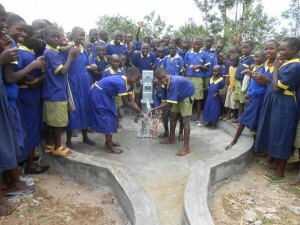 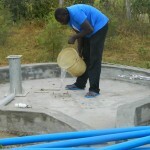 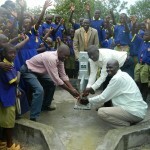 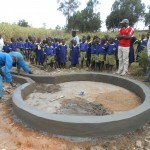 A broken well has been rehabilitated and the community has received training in sanitation and hygiene. Together these resources will go a long way toward stopping the spread of disease in the area and allow the students to put more energy into learning and growing. 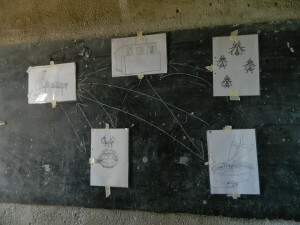 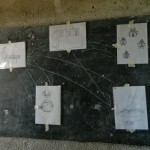 We just posted a report from our partner in the field including information about the community, GPS coordinates and pictures. 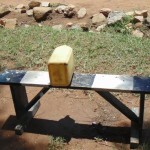 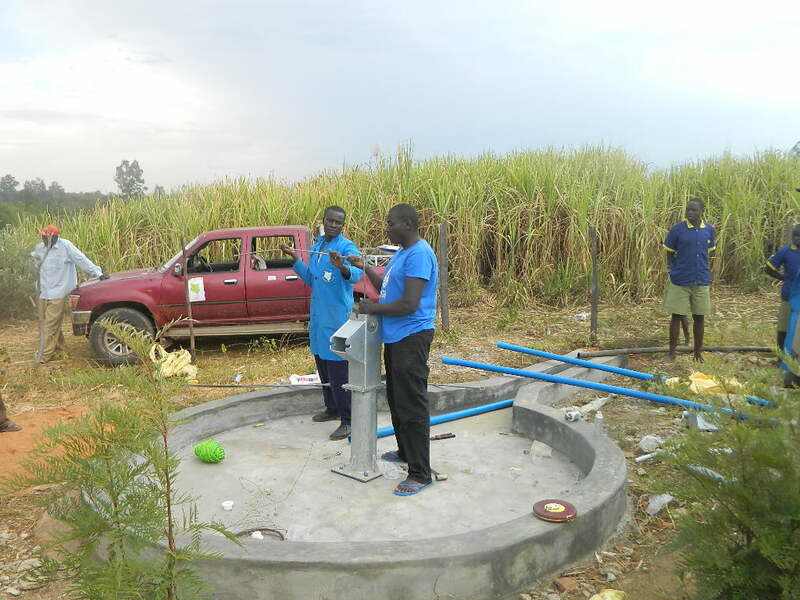 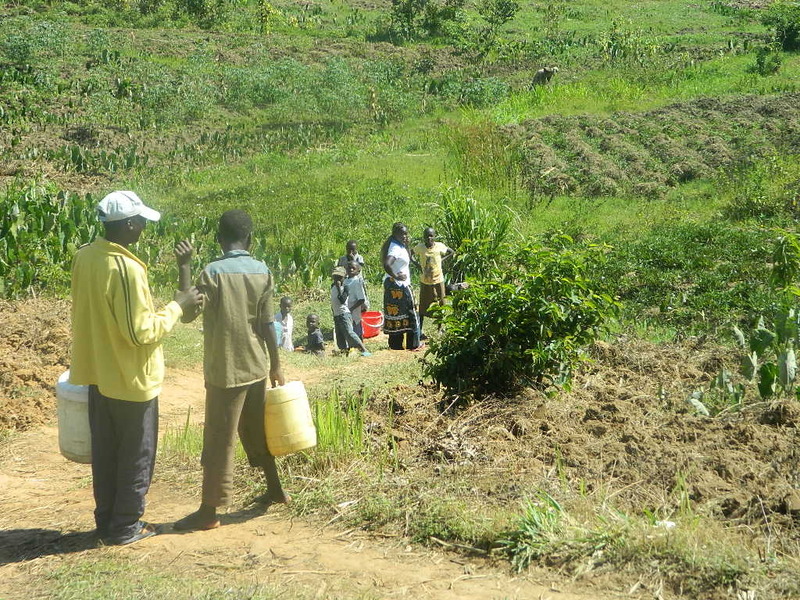 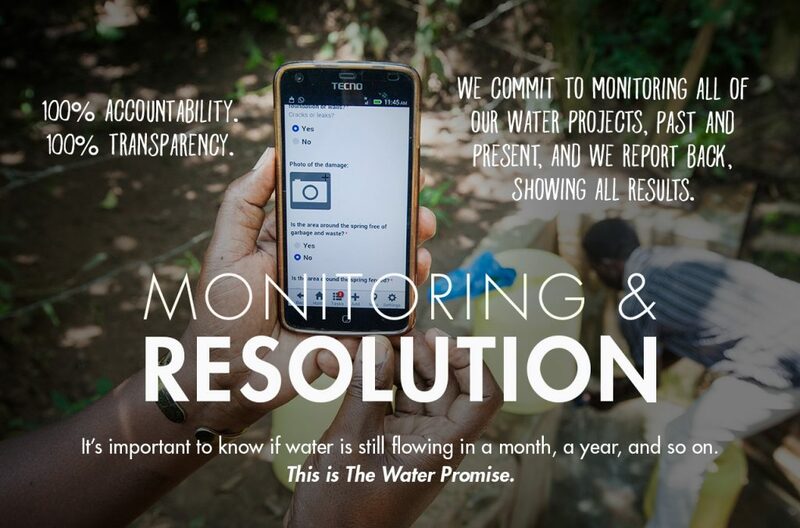 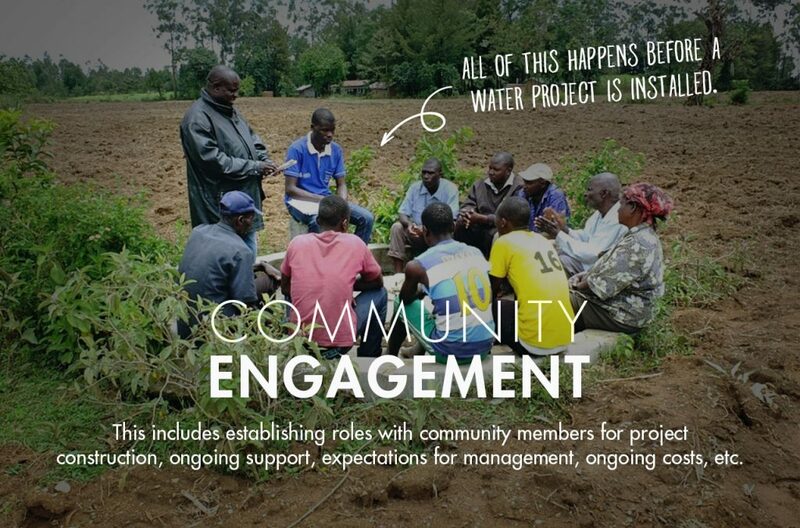 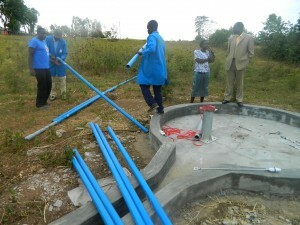 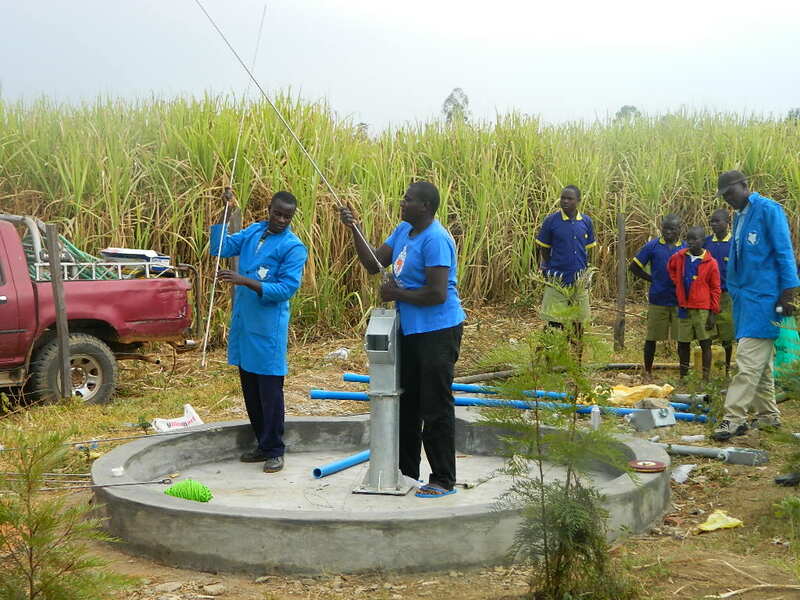 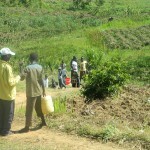 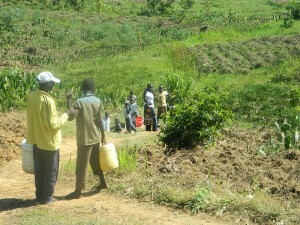 The report also describes the process of training the community and installing the new water point.